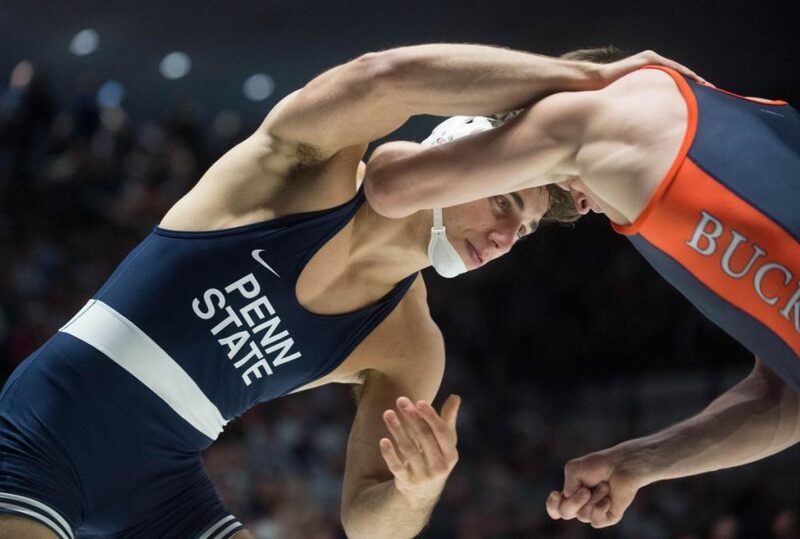 Penn State heavyweight Anthony Cassar announced Tuesday afternoon that he’s currently seeking a sixth year of eligibility — to help further his push for the 2020 Olympics and a mixed martial arts career afterward. The announcement came during the November 27 media day in University Park. Cassar finished 16-2 at 197 pounds last season and decided to move to heavyweight this year. Now a red-shirt senior, Cassar is currently 4-0 since the season began and is in the top five of the heavyweight rankings. Cassar did not compete during the 2016 season due to a shoulder injury. When asked what his MMA nickname would be, the Nittany Lion standout replied “Champ” and then laughed.